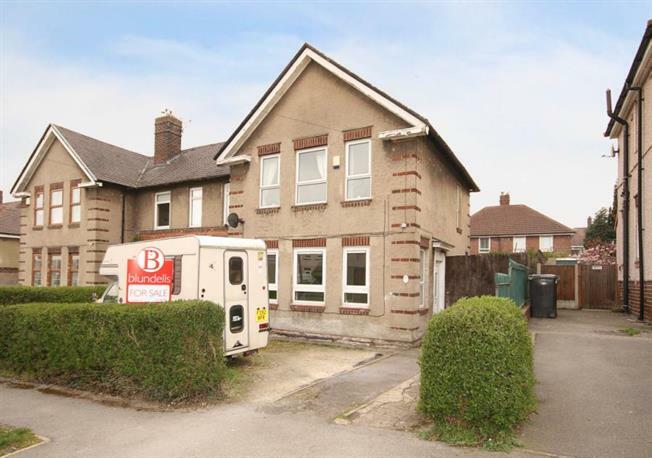 3 Bedroom Semi Detached House For Sale in Sheffield for £140,000. An excellent opportunity to acquire with no chain this three bedroomed semi-detached home, located in the heart of the highly popular and convenient Wisewood estate. Offering accommodation over two levels and having GCH, double glazing, front and rear gardens and forecourt. Wisewood is a popular and convenient suburb offering excellent local amenities. With local schools including Wisewood Primary, shops and public transport links. Further amenities including supermarkets and shops can be found in Hillsborough with access to surrounding countryside in the Loxley Valley, Wadsley Common and local golf club nearby. offering lots of natural light, the Kitchen has a range of base and wall units with sink unit and window to the rear, integrated oven and hob, plumbing for washing machine and doorway to rear lobby with downstairs WC and useful under stairs storage. The Bathroom has WC, bath with shower over and screen and wash basin in white with tiled splash backs. To the exterior of the property is a forecourt to the front and garden to the rear with patio providing an excellent outdoor seating area.